I am a Denny’s Diners ambassador. I received compensation for this post. All opinions are my own. Every September, Denny’s partners with No Kid Hungry to help raise funds to support their wonderful cause of making sure children have the food they need to thrive. In support of Denny’s No Kid Hungry cause, I joined up with two local Phoenix bloggers Laura of Pink Cake Plate and Megan of Shaping Up to Be a Mom to host a “Paint the Night Orange” event at our local Denny’s. We invited other local bloggers to party with us and had some beautiful gifts donated for a silent auction, which made the event so much fun. There was fun gift baskets, gorgeous home items, fashion pieces, and gift vouchers to pick from. I ended the night with a super cute camera charm necklace and a dozen custom decorated sugar cookies. Of course, any event wouldn’t be complete without food. We were treated with a variety of appetizers and some yummy treats Laura create for the event including cupcakes, painted popcorn, and these adorable paintbrush rice krispie treats. We were also treated with a wonderful guest speaker, Kathy Cano-Murillo of Crafty Chica. She taught us to set goals, and then do everything with a purpose towards meeting our goals. It was a powerful lesson on working towards what we really want to achieve. In the end, everyone went home with a swag bag, gifts, leftover goodies, and their silent auction winnings. While the event was super fun, we all were there to remember and help support No Kid Hungry and we raise a good sum of money to help their foundation. 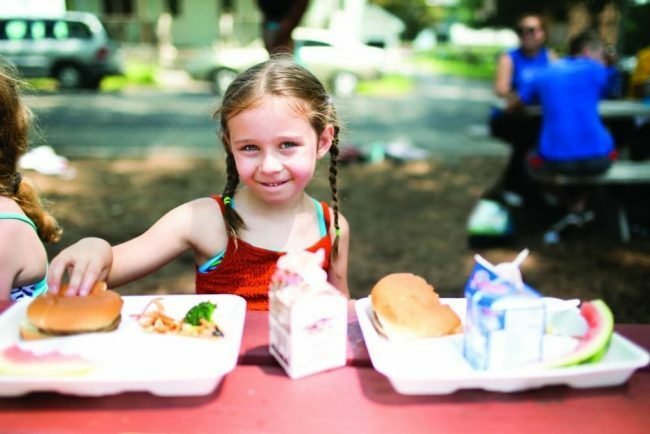 Would you believe that 1 in 5 children in America struggle with hunger. We aren’t talking about a 3rd world country, we are talking about America. Our own backyard. Those numbers are even higher in Arizona – 1 in 4 children face hunger. No Kid Hungry ensures that kids start their day off right with a nutritious breakfast. They also help families by teaching them skills to shop and cook on a budget to really change and impact these families lives. How can you make a difference? Throughout September, if you visit your local Denny’s you can make a donation to No Kid Hungry and receive coupons good for savings on diner favorites. 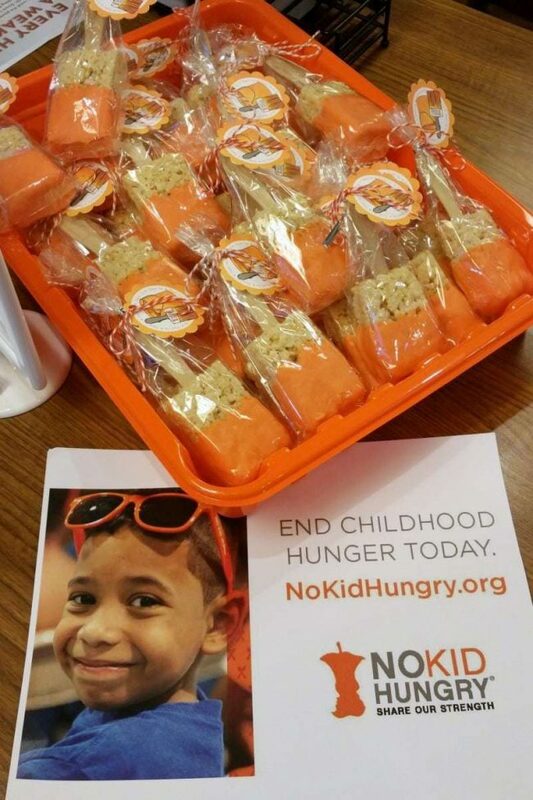 Donate to No Kid Hungry! Every little bit helps, no matter if that means $1, $10, or $25 – anything you can donate will make a big difference for these children in need. Every dollar donation helps to feed up to 10 meals for a hungry child! Head over and consider making a donation to No Kid Hungry now. Donations are tax deductible. Win a No Kid Hungry Prize Pack! 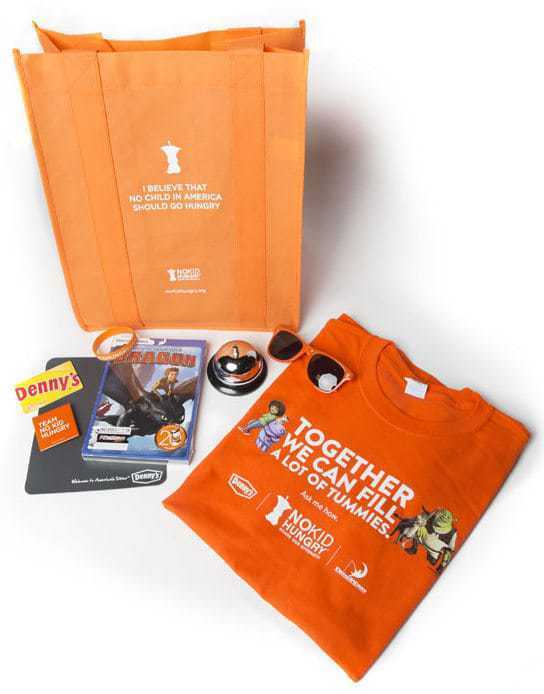 Prize includes: DreamWorks DVD, Denny’s No Kid Hungry t-shirt, No Kid Hungry “swag” (sunglasses, wristbands, badges) and $10 Denny’s gift card. Consider donating to No Kid Hungry, and make a difference in those children’s lives that truly need our help. What a great cause, have bookmarked it to go back and donate on payday… thanks for the heads up. This is such an important cause and I’m glad Denny’s is supporting it! This might be a great program, and I do think it is, but I’m quite put off that they would not accept my $3 donation! How rude is that?! I had to increase it to $5 to have it accepted. I’m not trying to be stingy; I actually donate to several causes every month, and have an total amount in my budget earmarked specifically for that purpose. I just think it’s a terrible to make somebody feel bad for only giving a few dollars, especially because, as you say in your post, every dollar counts. Good for Denny’s for sponsoring a great campaign, but shame on them for that attitude. I love going to Denny’s late at night for the Grand Slam. I’m so glad to hear that this is a company that gives back to others who truly need it. Thanks for letting me enter. Kudos to Dennys for launching an awesome program to feed the hungry children. I hope there is a branch near my place, so we can help, too. what a great program. also i love denns they have great food. Child hunger is a huge problem! We need to do everything we can to help! It’s so cool that you guys were able to host this even at Denny’s. I have to make sure to have a meal at Denny’s and donate! I am always amazed at how we can have so much waste in our country, yet still have kids going to bed hungry each night. Kudos to Denny’s for doing their part to make a difference. It is terrible that there are hungry kids when we waste so much food everyday.This sounds like a great program. We donate to the local food bank every month. This sounds like an amazing program. We love to eat at Denny’s. If you go in on your birthday you get a free Grand Slam. It’s amazing that we have hungry children here in America. Cheers for Denny’s going the extra mile to help kids in our own backyard. I really love this initiative and ending child hunger is a cause that’s close to my heart. I hate, hate, hate that there are hungry people out there, let alone kids. I had no clue Denny’s was doing this and think it is awesome… thanks for the info. It is so nice to see Denny’s get involved with such a worth cause. No child should ever be hungry. This is such a wonderful campaign. It is great that Denny’s is involved. This is amazing! 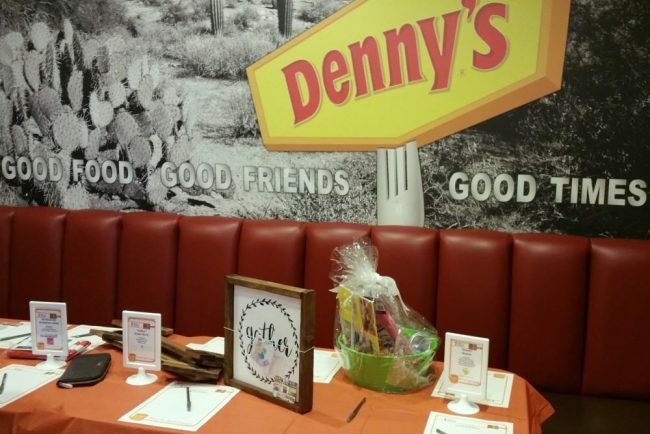 How awesome that Denny’s is helping feed america’s children through this initiative. I think it is great that every dollar donation can help feed a hungry child up to 10 meals! I love Denny’s and now I love them even more. What a great way to give back. I think this is a great thing that Denny’s is doing. I can’t beleive that there are still hungry children in this country. This is such a wonderful program! We just went to a restaurant an my 3 year old asked give money. I love her, and I love big companies giving back! I absolutely love this program. I can’t believe that there are still children going hungry. I need to go to Denny’s soon! It’s been a while. What a great cause! We love this program and I think this year I will be bringing my son to help with this. He needs to know how some kids live! He has a giving spirit and I want to make sure he keeps this spirit! What a wonderful programn. I love when companies give back like this.